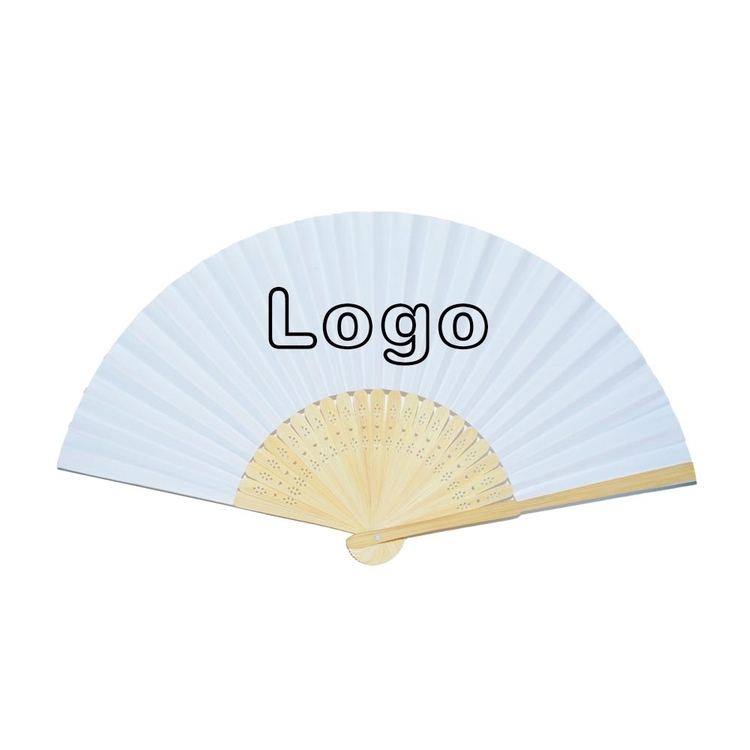 Folding Fan is made of bamboo and paper, it is a good way to show your brand on this product. Size and logo can be customized. Package: 1 pc/opp, 500 pcs/ctn, 26 bs/ctn. Imprint Size: 2" x 4"